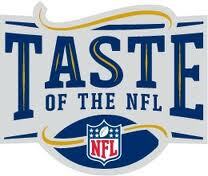 Hi all...I'm back home in San Antonio after an amazing weekend in Indianapolis to attend Taste of the NFL courtesy of the nice people at Red Gold Tomatoes! I'm going to share all the details later this week...but I wanted to pop in and share a few trip highlights and pictures today to tide you over while I write a longer, more detailed post!! But first...I want to quickly announce the winner in last week's Gourmet Texas Pasta 3-pack giveaway. Per the random number generator, the winner is: #2: Amy Donovan from Fearless Homemaker! Congrats...I just sent you an e-mail to verify your selections and get your shipping info so they can get your package sent right out to you!! I knew that I was going to have a fantastic time in Indianapolis, but the weekend exceeded even my wildest dreams! 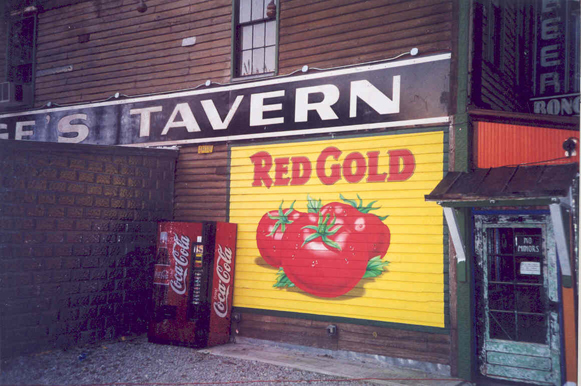 The Reichart family, who own and operate Red Gold, were the nicest people you can imagine! Red Gold was an amazing host from the moment the amazing Monica from Marketing met us at the airport until they sent us off with hugs and goodbyes at the end of the weekend. In between, they treated us to a wonderful dinner...a personalized tour of their Elwood processing facility and their beautiful new headquarters...and a night of food and wine at Taste of the NFL. I was the last blogger to arrive, and I found the rest of the ladies just outside baggage claim. Most of us had been chatting via Twitter and Facebook for the past couple of weeks, so we felt like we knew each other already. We made our way outside, where a stretch truck limo was waiting to take us to our hotel. This was how we rolled the entire weekend...in style! The seven of us chatted with Monica like old friends the entire hour-plus drive to our hotel in nearby Muncie! We arrived at the hotel to meet Theresa, who works with Monica in the Marketing department. We ate some lunch, received some great Red Gold swag bags, and went over our itinerary. After some time to unwind in the afternoon, we met downstairs to have dinner with members of the Red Gold team at Bonge's Tavern. We had a spectacular meal and amazing, fun conversation. After some much-needed sleep, we met downstairs Saturday morning to spend the morning with Red Gold. We visited the Elwood processing facility, where ketchup and tomato juice was being produced. 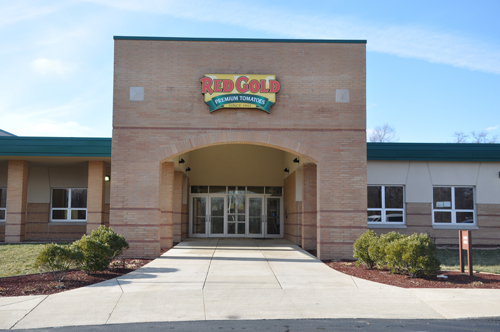 We learned a lot about the care that Red Gold takes in growing their tomatoes and creating their products. Their pride in their product is evident in how much they love their company and its products! They fed us breakfast and lunch featuring Red Gold products and gave us a tour of the production line. After the tour, we were the first official guests at their beautiful new corporate headquarters. We received a VIP tour before lunch...and even met their cute mascot, Stewie! We took lots of pictures, which I will share later in the week...but here's a shot of the outside of the headquarters. After a couple of hours to rest up...and glam up...we were off to Taste of the NFL. I want to introduce you to my fellow blogger winners...all of them were fabulous and so friendly!! In a weekend full of wonderful things? Getting to know these six lovely women was especially fantastic...we talked and laughed like long-lost friends the entire time. 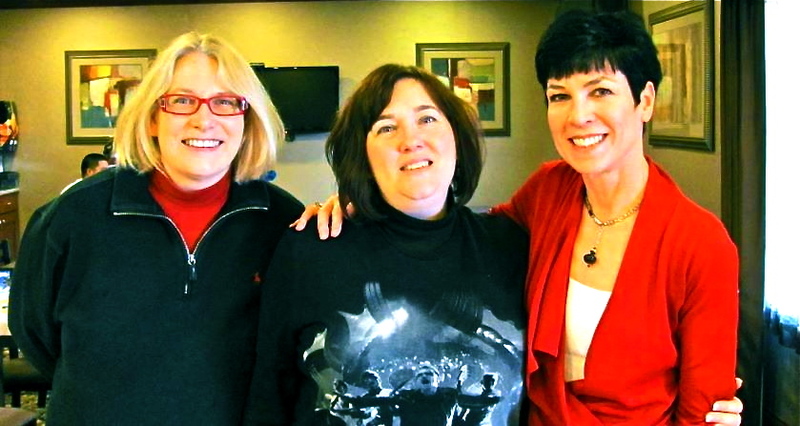 In this picture, from left, are: Renee from Great Foodini, Lisa from Jersey Girl Cooks, and Cathy from The Dutch Baker's Daughter. ...and in this picture, from left, are: Sherry from Superexhausted, Deb from Just Short of Crazy, and Heather from Basilmomma. We were all dressed up and on our way to Taste of the NFL when I snapped these pics. I think this was just before we popped the cork on a bottle of celebratory champagne to get the party started! Taste of the NFL was a spectacular good time: amazing food, great wine, celebrity chefs, and football players. What else could a foodie want? We met Ted Allen from Chopped, took pictures with the super-nice Cake Boss guys, and spotted several celebrities in the crowd! By the time we made it back to the hotel, it was just past midnight...and I even saw some snow flurries during the ride back. Folks, that is NOT something this Texas gal sees everyday! Before we knew it, it was time to head to the airport...one last laughter-filled ride in the limo before it was back to our normal lives. We all hugged goodbye at their airport...happy for a fun-filled weekend together, and a little sad to say goodbye so soon. I know that we'll stay in touch via Facebook, Twitter, and each other's blogs! I hope you'll visit my new friends and check out their fantastic blogs. All of these ladies are fantastic cooks...and wonderful women! I received a trip to Indianapolis to attend Taste of the NFL and visit the Red Gold facilities courtesy of Red Gold Tomatoes. All opinions expressed in this post are my own.